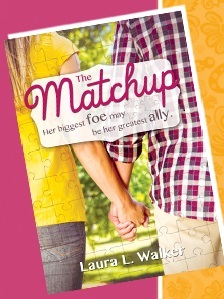 Looking at the front cover of The Matchup, by Laura L. Walker, I was expecting a simple and cheesy love story without a lot of depth. Well, to my delight and satisfaction, that couldn’t have been further from the truth. This book portrays the pain, low self-confidence, loneliness, sometimes recklessness, and lack of hope that can stem from poor choices, divorces, family disputes, and even raising an autistic child. The connection they form, and the relationship their kids make with each other, bring them closer and closer together. But, will he change his life and come back to church, and will she overcome her fears and insecurities about her children? This is written as an LDS love story, so it is most suited to LDS adults, or adults who are really familiar with LDS beliefs and practices. Because it is an LDS romance, there is much more at stake with the couple, and also many opportunities to feel the Spirit as gospel truths are reiterated beautifully. …Pushing himself off against the post, he came closer and crouched down in front of her. “Is there anything I can do to help?” he asked softly. He’d have to see if he could reignite it. Chills came to me at least three other times, and that does not often happen to me while reading a book. I felt that the story was so authentic, that these events could really happen in individuals’ lives. I myself have endured divorce, single parenting, and dating again after divorce. I could relate to Valerie some, though not completely. The inner struggles both Valerie and Gage, and even some of their family members, go through, are definitely on point. The main message of the book is, the Lord loves each and every one of us. We have trials that help us grow and develop if we keep our faith in Jesus Christ. Hope is never lost, and everyone can change. We can be happy again after difficult times. We can forgive, move forward, and find joy again by keeping the commandments and praying for guidance. I loved the gospel message found throughout The Matchup, and recommend it as an uplifting romance and message of love.